His net worth stands at close to $3.2 billion, according to Forbes. He became a legend at Goldman Sachs, helping build the firm's asset management business into a giant in the industry. He founded and ran one of the most successful hedge funds in the world. And now Leon Cooperman is investing his personal money in marijuana stocks. In an interview with CNBC last month, Cooperman said that he has personally bought positions in three marijuana stocks: CannTrust Holdings (NASDAQOTH:CNTTF), Green Thumb Industries (NASDAQOTH:GTBIF), and iAnthus Capital Holdings (NASDAQOTH:ITHUF). He mentioned jokingly that he's "never had so much fun with my pants on as I've had with these stocks." Why would a billionaire buy marijuana stocks? Cooperman was persuaded of the merits of the cannabis industry by Green Thumb Industries founder and CEO Ben Kovler, whose family helped build the Jim Beam whiskey empire. But are CannTrust, Green Thumb Industries, and iAnthus good picks for investors who aren't quite billionaires yet? CannTrust is a Canadian marijuana grower with a market cap of more than $700 million. The company made its mark in Canada's medical cannabis market, selling products including cannabidiol (CBD) capsules and topicals. But the really big opportunities for CannTrust are in the country's recreational marijuana market and the global medical cannabis market. The company should have the production capacity needed to succeed in these markets. CannTrust already began operations this summer at its 450,000-square-foot Niagara Perpetual Harvest Facility. It's adding another 600,000 square feet of growing space. When it's completed, CannTrust should be able to produce more than 100,000 kilograms of cannabis per year, ranking it in the top 10 largest marijuana growers worldwide. CannTrust secured supply agreements for the recreational marijuana market with nine Canadian provinces. The company also teamed up with Breakthru Beverage, the largest alcoholic beverage broker in Canada, to represent CannTrust's cannabis products in the Canadian retail recreational market. As for the global medical cannabis opportunity, CannTrust currently has a presence in four international markets: Australia, Denmark, Germany, and the Netherlands. The company also has a partnership with generic drugmaker Apotex to develop and market medical cannabis products in Canada and globally. Green Thumb Industries (GTI) is a U.S.-based medical cannabis producer and retailer. 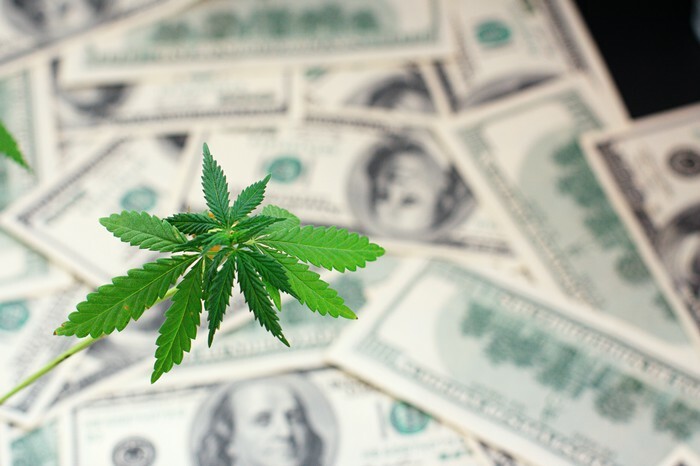 Its market cap stands at nearly $2 billion after its stock skyrocketed in September but fell in the broader marijuana stock pullback in October. GTI states the core component of its business strategy is to establish the foundation for a national distribution infrastructure "by leading in limited supply, oligopolistic markets." By that, the company means that it focuses on states that have legalized medical marijuana but only allow a limited number of producers and retailers. The company currently has operations in eight states: Illinois, Maryland, Massachusetts, Nevada, Ohio, Pennsylvania, Florida, and New York. There are around 94 million residents in these states -- more than one-quarter of the total U.S. population. GTI owns the entire supply chain, from cultivation to manufacturing to wholesale and retail operations. The company plans to take its standard approach used in its operations in the initial eight states and expand into other U.S. states. Like Green Thumb Industries, iAnthus Capital Holdings focuses on the U.S. medical marijuana market. Its stock ranked as the second-best-performing marijuana stock of the first half of 2018, although the last couple of months weren't as great for iAnthus. The company's market cap of around $430 million is the lowest of the three marijuana stocks bought by Leon Cooperman. iAnthus currently owns and operates eight cannabis cultivation facilities and 46 dispensaries in Florida, Massachusetts, New York, and Vermont. The company also has partnerships in Colorado and New Mexico. But the company should soon become significantly larger. In October, iAnthus announced plans to merge with MPX Bioceutical (NASDAQOTH:MPXEF). MPX provides an array of services, including management, staffing, procurement, real estate rental, logistics, and administrative services, to medical marijuana businesses in five states: Arizona, California, Maryland, Massachusetts, and Nevada. It has six cannabis production facilities and 10 retail dispensaries. After the merger is finalized, iAnthus will compete in 10 states that Arcview Market Research and BDS Analytics project will generate more than $16 billion in marijuana sales by 2022. And once expansion projects are completed, iAnthus will have more than 550,000 square feet of growing space. Leon Cooperman didn't become a billionaire by throwing his money away. He saw legitimate growth prospects for each of these companies. I think he's right. CannTrust provides a relatively good "bang for the buck" compared to its larger peers in the Canadian cannabis industry with nosebleed valuations. Green Thumb Industries and iAnthus appear to be well positioned in the even more lucrative U.S. marijuana market. But these stocks aren't for every investor. There's a real risk that Canadian marijuana growers like CannTrust could face a supply glut within a few years. Marijuana remains illegal at the federal level in the U.S., presenting risks for GTI and iAnthus. However, for aggressive investors looking to profit from the marijuana boom, CannTrust, Green Thumb Industries, and iAnthus are high-risk but potentially high-reward alternatives to consider. They might not make you a billionaire like Leon Cooperman, but if all goes well, they could get you closer to becoming one.